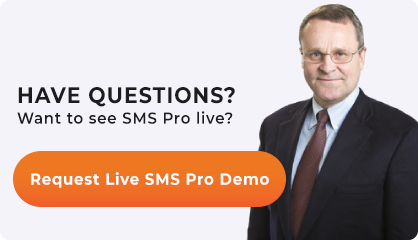 FAA Part 5 compliance for Safety Policy is largely the concern of new aviation SMS programs. Safety Policy requirements are mainly fulfilled in the first phase of aviation SMS implementation. Fortunately, the FAA’s compliance guidelines on this SMS Pillar are very clear, and well outlined. Coordination of emergency response planning (5.27). Define commitment to safety management. Overall, various types of documentation are used to fulfill the safety policy goals above. Naturally, larger organizations will need more extensive safety policy documentation, and smaller organizations will need less extensive safety policy documentation. 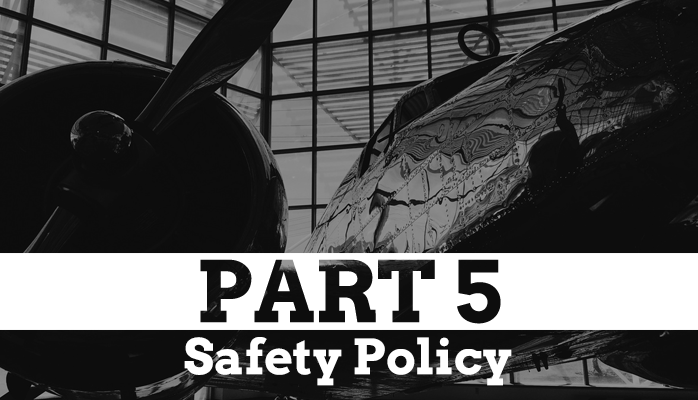 Here are the four parts of FAA Part 5 Safety Policy pillar. Safety policy needs to be regularly reviewed. A convenient place document to use to support safety decisions. As the safety policy statement should be concise, and requires specific, short verbiage, the size of this statement should be similar in both small and larger organizations. The hierarchy of who makes safety decisions. Levels of management with authority to make decisions of safety acceptability. The accountable executive’s unique duties and commitment to developing the safety program. The keyword here is “roles” in the organization. This is important to understand because even large organizations will have a similar set of roles as smaller organizations. Also, every organization will have a similar number of safety responsibilities. The outcome of these facts is that documentation of safety accountability and authority will be similar in scope for large and small organizations. Is ultimately responsible for safety performance. It would be a good idea to include in the safety policy statement how the accountable executive will fulfill these duties. Part C of this element of Safety Policy is to ensure that needed safety elements have enough manpower to oversee them. In other words, that there are enough management personnel to do what needs to be done. Regularly report to accountable executive with safety performance information. Remember that while the accountable executive is “responsible” for the above activities, that does not mean he/she needs to “carry the out.” It only means that he/she oversee their status. Ensure that your ERP does not conflict with the ERPs of other organizations that you interact with. The last point requires that you do some legwork by contacting other organizations that you interact with, reading through their ERP, and ensuring that yours doesn't conflict with theirs. SMS procedures that are relevant to each specific emergency. Published September 2017. Last updated April 2019.